Over the years we’ve tried our best to teach our children about money, the good and the bad. Saving money is something we really try to help instill in our kids. To keep the momentum with our kids and saving, I’m sharing our mason jar bank craft my kids created for saving their allowance and birthday money! 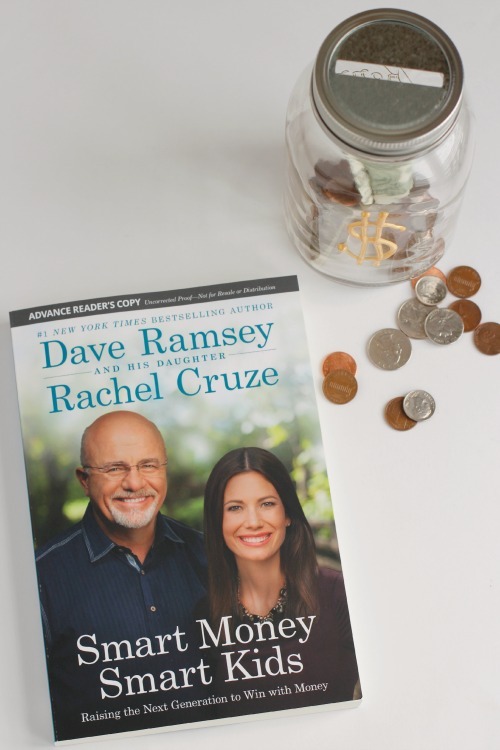 I’m partnering with Dave Ramsey and Rachel Cruze, introducing their new book for families, Smart Money Smart Kids. This is the first book written by both Dave and his daughter Rachel, helping parents who are looking for advice on how to raise money-smart kids. It’s filled with actionable tips for how to help your children succeed with money throughout their life. Their advice includes everything from helping kids understand the need for working, spending, saving, and even giving. It also shares ways to move into more difficult issues with your older children preparing for college and avoiding debt for life. 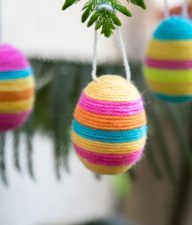 For our family, if we can start early, hopefully our children can avoid pitfalls and mistakes that we’ve made over the years. We want our kids to learn to work and earn and save. One way we’re helping our children try to save is by keeping a bank. 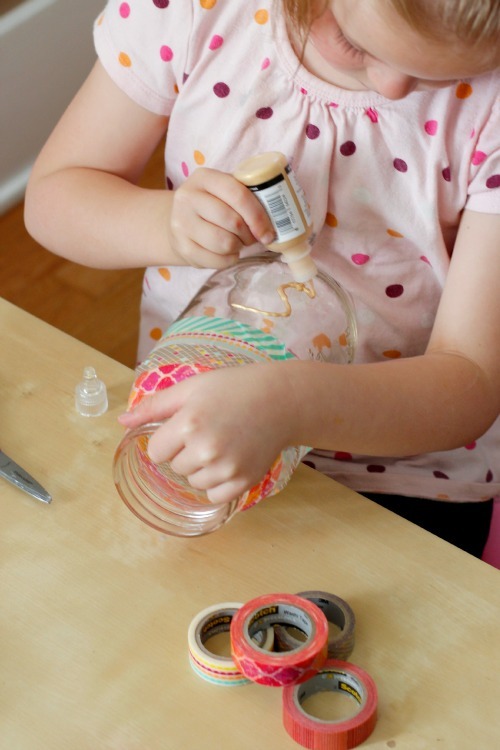 We let them each decorate their own clear mason jar, letting it become something they own and are excited about. They can add money to their bank, becoming excited to see what they are saving. I recently found these great coin slot mason jar lids at our local craft store. 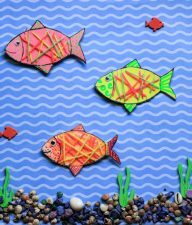 They are perfect fit for adding in coins or rolling up dollar bills to add through the slot! 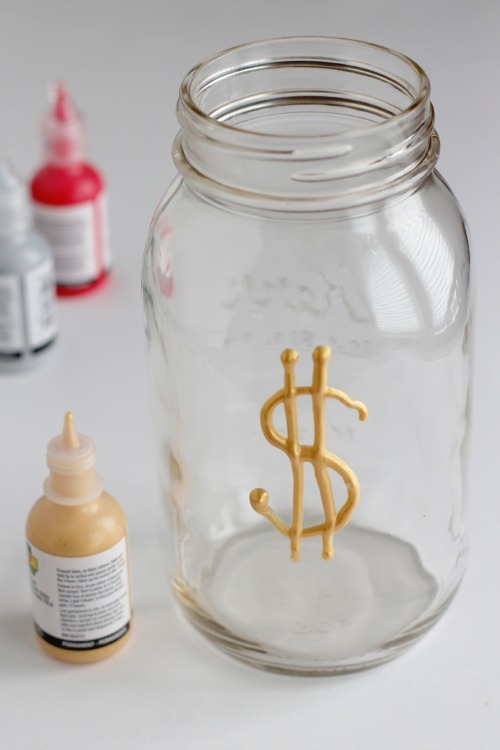 Here’s how we decorated our own Mason Jar Banks! 1. 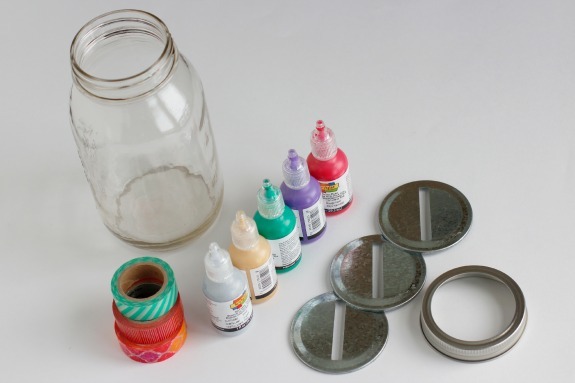 Remove the lid to your mason jar and start adding your embellishments. I suggest you start by adding any non-paint items to your jar first. 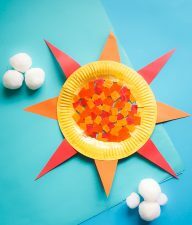 Then you can add your puffy paint. Let this dry completely, up to 6 hours. 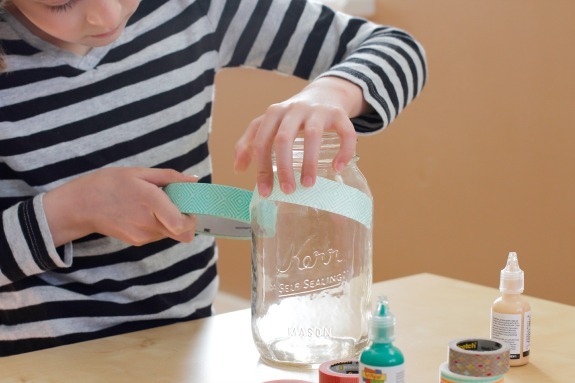 You can get really creative with your jar, it’s all you! Even just simple money symbol is a fun addition! 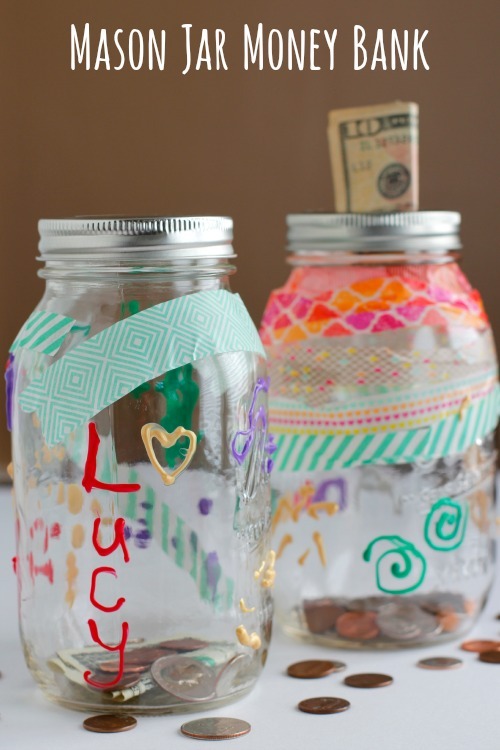 Now our kids have their banks to start adding what they earn into their jar. It can be to save for something specific or just in general. Are you kids big spenders? Is their “money burning a hole in their pocket”, as my dad used to say?! Have fun starting to save! *Thanks to Smart Money Smart Kids for sponsoring this post. Be sure to follow them online for more great money saving info – Dave Ramsey on twitter and facebook, Rachel Cruze on twitter and facebook. 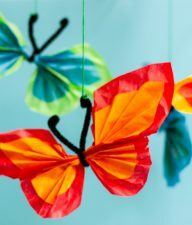 Love this idea, I am always looking for things to do with my grandchildren when they come to visit with me for a week.